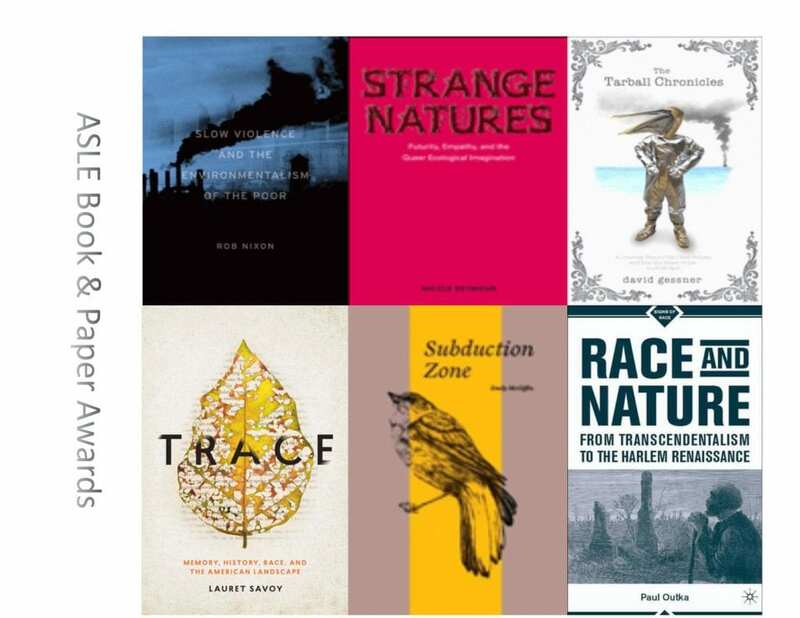 Submissions for the 2019 ASLE book awards in the areas of ecocriticism and environmental creative writing are now being accepted. Deadline to submit is January 7, 2019. The call for graduate student paper submissions, for papers to be presented at the 2019 conference, will follow this winter. First given at 2007 Biennial Conference held at Wofford College in Spartanburg, South Carolina, the ASLE book and paper awards recognize excellence in the field. The most recent awards were presented at the 2017 conference held at Wayne State University in Detroit, Michigan, to Lauret Savoy (Creative Book), Jesse Oak Taylor (Ecocritical Book), and K.M. Ferebee and Marta Werbanowska (Graduate Student Paper Awards). The awards ceremony for 2019 winners will be at the Authors’ Reception at the Thirteenth Biennial ASLE Conference, at the University of California, Davis, from June 26-30, 2019. Books published by members of ASLE and international affiliates in 2017 and 2018 are eligible for the awards. Rules and instructions on how to submit your work for consideration for the 2019 awards are posted below.